Brisdelle Review: Does It Work? Find The Truth Here! 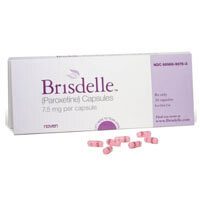 Brisdelle is a prescription supplement used for the management of moderate to severe hot flashes. 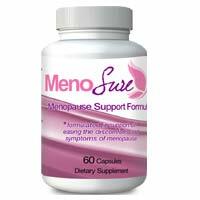 It is a non-hormonal therapeutic option to help alleviate this vasomotor symptom experienced by menopausal women. The supplement is presented in a capsule form which mainly contains a low dose of paroxetine which is a substance that can treat psychiatric disorders. However, Brisdelle is not actually indicated for these psychiatric disorders and was not approved as a remedy for such. Brisdelle is to be taken one capsule a day at bed time which contains paroxetine. Although paroxetine is an anti-depressant remedy, it is present in Brisdelle at a lower dose making it scientifically useful so that it can alleviate moderate to severe hot flashes associated with menopause. Brisdelle actually offers support programs allowing consumers to save through the use of Brisdelle savings card. The first prescription is free of charge. 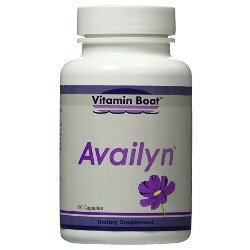 The capsules are inexpensive and may cost the consumer for as low as thirty dollars on each refill. The manufacturer also offers co-pay reimbursement program for commercially insured and cash paying clients. What are the Pitfalls of Brisdelle? Brisdelle can actually augment and trigger suicidal tendencies during the first few months of treatment. It may cause sudden changes in mood and behaviour of a woman so it is important to be cautious of these changes and contact your health care provider since suicidal thoughts is really life threatening. It can also increase the woman’s risk for bleeding or bruising particularly if they are taking non steroidal inflammatory drugs and the warfarin level in the blood is low. Restlessness and nervousness may arise when the woman starts taking Brisdelle. Serotonin Syndrome which is a life threatening condition is associated with the intake of Brisdelle. Common symptoms included in this syndrome involve changes in the mental status of the consumer, coordination problems and changes in vital signs. 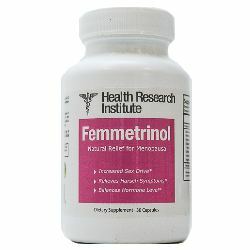 Its use may diminish the effectiveness of tamoxifen which is used in the treatment of breast cancer. The risk of bone fractures is augmented with its use. Brisdelle may cause the sodium levels in the blood to be lowered which may lead to thinking and memory problems. What People are Asking about Brisdelle? 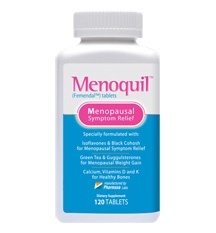 The use of Brisdelle is suggested for women experiencing moderate to severe hot flashes who do not want to engage in hormonal replacement therapy since this is a nonhormonal therapeutic remedy for this vasomotor symptom. Is Brisdelle Safe To Use? Since Brisdelle is associated with numerous side effects and disadvantages, it is important to be extremely careful in using this product. Although it can alleviate hot flashes related to menopause, it can in return trigger suicidal tendencies which is a lot harmful than the problem itself. Its benefit outweighs the risk. Thus, it is important to consult the physician before trying to take this supplement and immediately report the occurrence of these negative side effects should they surface out. Studies claim that Brisdelle is a more effective form of remedy to reduce vasomotor symptoms of menopause particularly hot flashes compared to placebo. However, the side effects associated with it are deleterious to the body which offsets the benefit that it brings. Generally, common side effects are linked with Brisdelle such as headache, tiredness as well as nausea and vomiting. Brisdelle may show results at a different pace depending on an individual. However, alleviation of hot flashes through paroxetine may put the woman at risk of many bodily disturbances which is detrimental to the health especially suicidal tendencies and mood disturbances. Treatment with Brisdelle in attempt to alleviate hot flashes may vary from one person to another. Its official website mentioned that the results will be observable as early as four weeks after starting the treatment. However, other website review indicated that it may take twelve up to twenty four weeks before noticeable results appear. Brisdelle is a practical treatment for vasomotor hot flashes during menopause as compared to placebo. However, its disadvantages and side effects are much worse than hot flashes itself which includes life threatening symptoms especially suicidal tendencies. It is best to consult a physician prior to taking this drug to evade these negative effects.